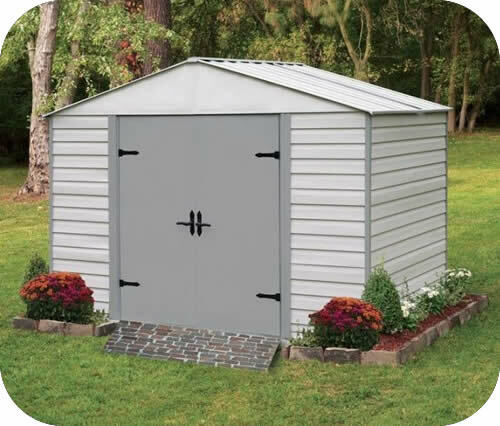 The attractive Vinyl Viking 8X5 Metal Shed by Arrow is perfect for all your storage needs or even as a workshop. 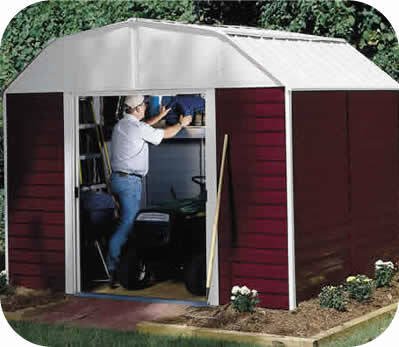 The attractive Vinyl Viking 8X5 Metal Shed by Arrow is perfect for all your storage needs or even as a workshop. 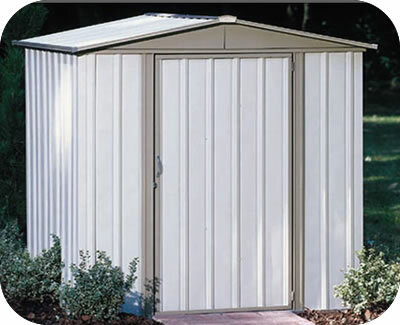 With its elegant design and high-quality construction, it is a tremendous value for a metal building of this size. 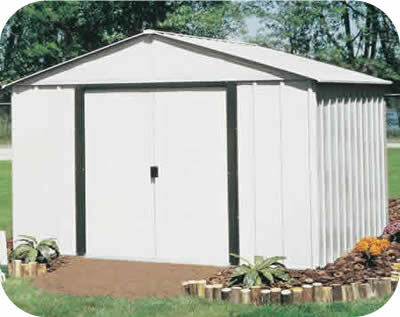 The vinyl coating is five times thicker than typical finishes for superior longevity. 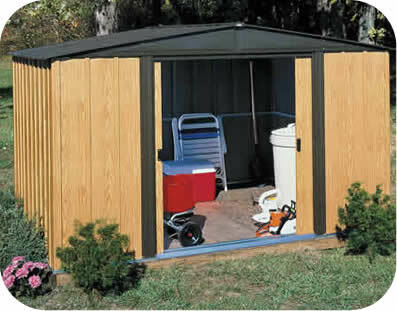 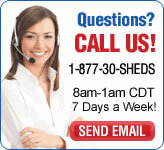 The building is low maintenance and won't fade, mildew, or rot as a wood structure may over time. 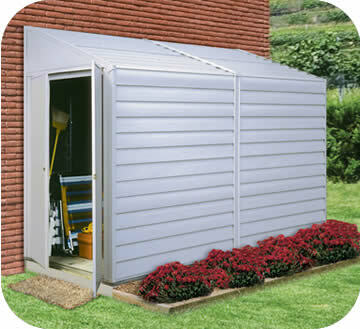 Simply an occasional wash with a garden hose will keep it looking new.